At McCloskey Builders, our approach to your new home project is unique and different from most builders. When you come to McCloskey Builders, you are not limited to a collection of plans or designs. We approach every home as truly custom. You are in control of the design and what you would like included in your new home. We are a design/build custom home builder, which means you work with us through all the stages of development: concept, design, construction, and follow-up. Total project costs can be determined early in the process and are tightly managed through our design/build approach. Our process can also save you time. More traditional methods of using an architect/designer for home design and sending those plans back and forth between the architect, builder, and owner can make the process much longer. Our custom process takes less time and there will be less chance of miscommunication. When you contact us, we will schedule a time to meet with you for an initial design meeting and a review of the style of home you would like to build. We will also discuss all of the features that you are looking for in your home. Once we have an idea of what you are looking for in a custom home we will discuss costs. After the initial meeting we will provide a preliminary budget range for your project. If the preliminary budget is approved we will begin preliminary floor plans and exterior concepts. The process assures you that your custom home can be designed within your budget. We may review house plans that are similar to the information you relay to us regarding the style of home and amenities you would like. At that point, you may find a design that will need only a few changes to make it into your perfect custom home. You may look at those designs and decide that you like specific elements in different homes. We will then combine those into your custom home design. You may have a design of your own, from a napkin sketch to detailed plans. We will work with you to turn these ideas into working plans for your custom home. No matter which path, McCloskey Builders will work hard to bring your home dreams to reality. Once an exterior concept and floor plans are completed we will meet with you to review the preliminary drawings and cost estimate. After your specifications and cost estimate are approved and your home designs have been reviewed, we begin creating the final documents needed for the construction of your custom home. 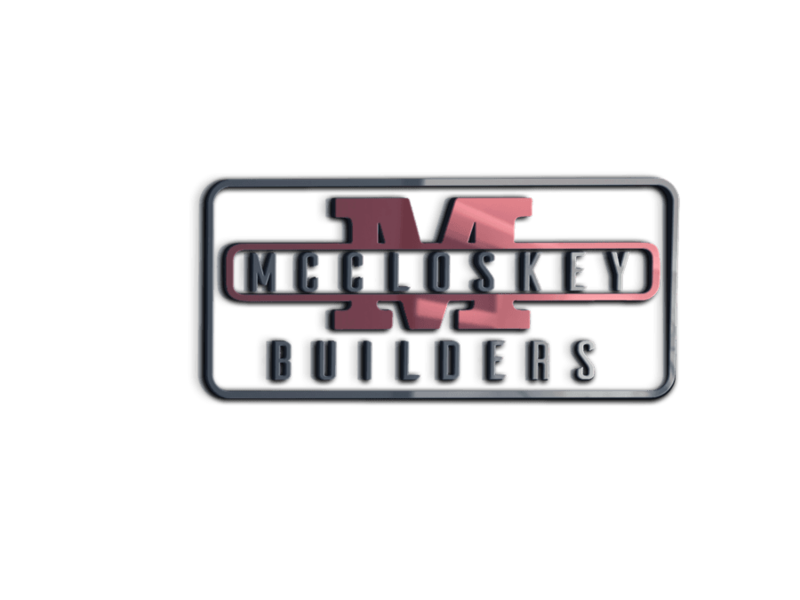 McCloskey Builders uses a 3D Architectural home design software that brings home design projects to life. We have the ability to use ‘Real Life’ 3D Renderings that we can share with you through the entire process. We even have the ability to share the entire plan with our clients. Using their cell phone, tablet or computer our clients have the ability to view exterior views and even have a ‘walk through’ tour of their entire house. Below are some sample of recent design/build project.